Leading European horserace betting operator PMU becomes a horserace betting operator in Brazil on behalf of Jockey Club Brasileiro (JCB), the most important Jockey Club in the country. 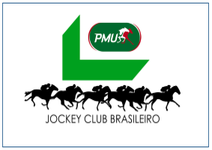 On Thursday 1st of October in Paris, PMU, the 3rd largest horserace betting operator in the world, signed a partnership agreement with Jockey Club Brasileiro to develop horserace betting in Brazil. PMU’s subsidiary PMU Brasil has been created to manage horserace betting on behalf of JCB, taking bets in points of sale, via the Internet and by phone, and to produce and broadcast live footage of horseraces. On the occasion of the signature of this agreement, PMU's Chairman and CEO Xavier Hürstel declared: "We are proud and delighted with this partnership with Jockey Club Brasileiro, which has given PMU access to the Brazilian market with the objective of boosting horserace betting and promoting Brazilian races. This agreement is the proof that PMU's expertise is acknowledged at an international level. This project is the largest we have ever launched outside of France and falls within the scope of our proactive international development policy, itself part of PMU 2020 strategic plan." Carlos Palermo, President of Jockey Club Brasileiro added: "With this partnership with PMU we are entering in a new era for the betting activity on horseraces in Brazil. I am convinced that PMU, thanks to its expertise and as the 3rd largest operator at a global level, will bring a more professional approach to the management of horserace betting in our country. For JCB, this agreement will promote the transfer of know-how with the training of the Brazilian teams and bring new resources for the development of local bets." This project conducted together with France Galop and Le Cheval Français has enabled PMU to accelerate its expansion strategy at an international level. This project came to life thanks to the mobilization of all actors within the French horseracing industry and has helped to bring the French and Brazilian horseracing industries closer together, with the instrumental support of the public authorities of both countries. PMU is an Economic Interest Group made up of 59 horseracing associations. Its mission is to finance the French horseracing sector, which employs 180,000 people, via its net result (€850 M in 2014). PMU is the leading parimutuel operator in Europe and the 3rd largest at global level, with close to 10 billion Euros in stakes in 2014. With some 12,500 points of sale in France, PMU also gives its 6 million customers the opportunity to place their bets via the Internet and over the phone. It also operates throughout the 7 Parisian racecourses. PMU is one of the largest stakeholders on the global market, exporting to 44 countries with 72 partners commercializing betting on French races. Live stakes on French races, which concern 34 operators in 19 countries, are rising in particular (up 14%, with close to 730 million Euros in 2014). A few weeks ago, PMU acquired a majority stake in the German horserace betting operator German Tote and has been present in Belgium through its subsidiary Eurotiercé since 2013. Jockey Club Brasileiro is the most traditional and oldest horseracing club in Brazil. Established at the end of the 19th century, it is the product of a merger between two clubs and counts 5,700 members. Situated in one of the most charming areas of the city of Rio de Janeiro, JCB has a huge complex of 640,000 m² with three tracks (turf, sand and training), 2,000 boxes, a veterinary hospital, 5 tribunes, several restaurants, a professional school for jockeys, a social club for the members and even a school attended by more than 400 children from the most disadvantaged backgrounds. JCB organizes 4 race meetings a week, day and night, all the year round, from Friday to Monday.